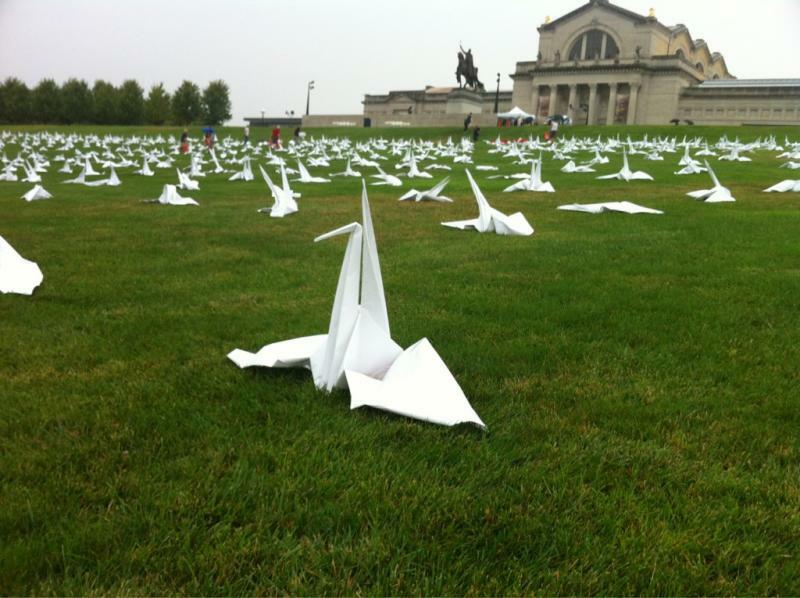 Art Hill in Forest Park is the temporary home for 1,000 origami cranes this weekend. More than 100 volunteers helped make the cranes, which can be “adopted” for $10 each at 10 a.m. Sunday. The proceeds go to benefit Backstoppers, a local charity that assists the families of public safety workers who die in the line of duty. Building on the success and popularity of Pepsi Refresh and similar programs, Monsanto has launched its own competitive grants for St. Louis-area non-profits. 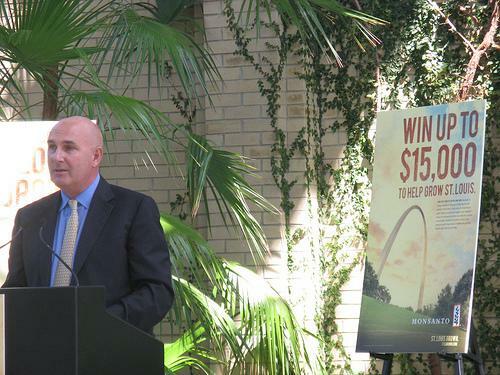 "We're asking St. Louis to nominate, and subsequently to vote on their favorite schools, their favorite agencies, their favorite non-profits," said Monsanto CEO Hugh Grant at Tuesday's announcement of the Grow St. Louis program. "They'll have the opportunity through that voting system to win a grant. It's kind of like American Idol without the music." This article first appeared in the St. Louis Beacon: July 7, 2008 - Frustrated by repeated efforts to get financial and other information from The Shawn Hornbeck Foundation, the Better Business Bureau today criticized the charity for "delays in filing required reports and failure to be transparent to the public." The foundation is headed by Pam Akers, the mother of Shawn Hornbeck; vice president is Craig Akers, the boy's father. The boy's 2002 disappearance and subsequent rescue five years later in Kirkwood made international headlines and prompted the startup of the foundation in 2003.